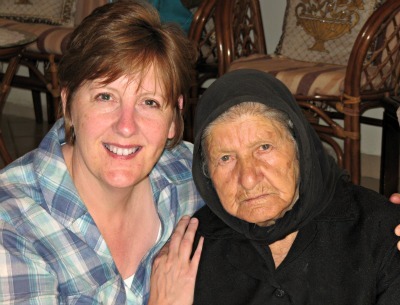 Who We Are & Why We Want To Tell You About Cyprus? 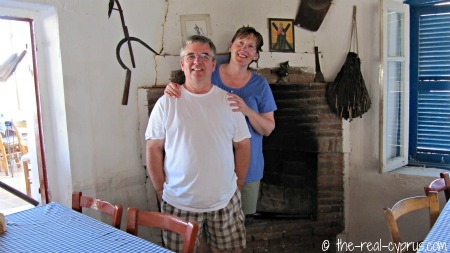 We have made friends, lost friends, and nearly become friends with local people and expatriates...over the years! We have stood in the Alien line in immigration, got shouted at in the Electricity Authority Office, laughed at in the post office, got kissed in our local village community office, and hugged by the baker. We have cried in frustration at the amount of paperwork you sometimes need to complete a simple task, laughed out loud at the ridiculousness of some expats who think Cyprus should be like their country, and smiled at the joy of being asked to attend a local wedding. You see Cyprus is all those things, it makes you laugh and it makes you cry, but it absolutely makes you happy if you let it and we totally love it. Go with the flow.. and the flow will go with you! Even if it is only for a fortnight, be sure to keep your heart open or you will miss those special moments that make up the Real Cyprus. My name is Jackie and this is me with Barthinobie or Bobbie for short. 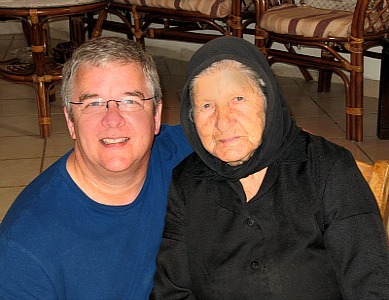 She was our neighbour in Kolossi Village and just the most lovely person you could meet. My love affair with Cyprus began in 1986 when I was in the RAF and was posted to the island for a 3 year tour and then more time after that spent living at Akrotiri. My fate was sealed and the relationship with this island has been ongoing for all these years. Here is my husband Mike with Bobbie, she absolutely adores him and he feels the same about her, he was like another son to her I think. He was posted to Cyprus too and we worked together but we were not destined to be together until 1997. When we did get together we realised we both had this same love of Cyprus and in 1999 a 3 week holiday changed our lives for ever. We gave up our jobs, rented out our house and moved to Cyprus permanently, and what an adventure that turned out to be. I managed to get a job with a large UK tour operator, any my role was to check out the health and safety of the Cyprus tourist accommodation and make sure quality of the guests holiday was up to standard. I have been into just about every hotel and tour operator owned apartment block on the island from the basement to the roof and got involved when the building was underway of some of the islands finest hotels. I got to know how to read a brochure inside as well and had to make sure the fine detail was accurate. I also had to vet the tours which was fun, like the jeep safari or the boat trip and inspect the cruise ships when they were in harbour at least once a month. The quality of a customers holiday was also part of a days work and that was very interesting finding out why someone did not enjoy their cyprus island experience. It was great to get to know the island from a business perspective as well as a personal one. Living on the island as a working resident in tourism was very different from living on the island as part of the military bases. We really got to know the real Cyprus and that is why we want to share it with you! We have got just a bit fed up with the lack of decent information about the island and the same rehash of the tourist brochures on offer so we decided to create our own cyprus tourist guide online. Well, Mike was house husband for a while which really helped me out whilst working full time during the holiday season, I worked for 9 months of every year. 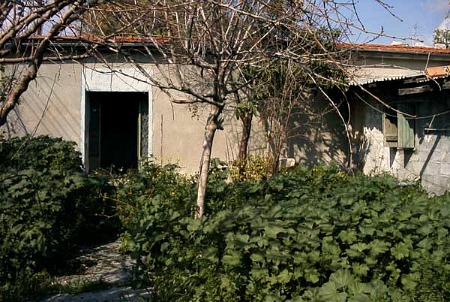 We were living in Kolossi Village at the time, we rented a house and we had made so many friends there we wanted to stay. So we looked around the village for a project and found one right in the middle and when the second storey was built we had a wonderful view of Kolossi Castle. Priceless! It was a total wreck but had running water and electricity and we could turn it into something really lovely. The picture below shows what we bought! Mike then really found his forte on the building site and worked like a demon on the demolition and the planning side of things. It took a long time as we had to get the funds together and do a bit of work at a time but eventually it got finished and we let it for a year, which was a disaster and after that we decided to sell. An opportunity presented itself, the property market was at its height and someone came to us to ask if they could buy it.. so we let it go. This is an experience worth repeating. We really enjoyed the process and want to do it again in the future. There is something very satisfying about building your own house, but it is not for everyone. We decided instead of working for others, we would work for ourselves and we started a property maintenance company, one of the first in Cyprus, thinking this would be the best thing for us. We were granted permission as a foreign national to have a licence to work, this was pre-joining Europe in 2004. And off we went but this really did not work for us. While we were pretty good at the maintenance, gardening and cleaning side we did not have much of a clue about the business side. So we were forced to close down and regroup. You can read about our experiences if you follow the link, Melissa wrote a great story for the Cyprus Mail which received a centre spread on a Sunday. In a nutshell it shows our grand plans that we had to rationalize and bring into reality. The newspaper article was a brilliant move, it helped us with enquiries for the rental of the house and people contacting us, who were considering moving to Cyprus at the time to work. They wanted the warts and all side of things. And we were happy to provide the dose of reality to peoples plans and they seemed pleased to be able to ask someone. Here is the story - Love, Care & A Little Polystyrene! But actually we don't believe in failure, we consider we took action which resulted in an outcome. Because frankly, you never see life sitting on the sofa at home do you? 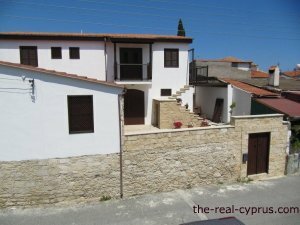 We also figured people just might be interested in learning about Cyprus from a couple e who have actually lived and worked there and not by someone who has researched the facts, turned them into into an article and was sitting in an office somewhere in the south of England! never having set foot on the island for any length of time. So if you are planning a trip here for a holiday, or a preliminary visit to see if you might like to live here, or any reason at all really, feel free to get in touch and ask questions. And don't forget you can follow us on Facebook and Twitter and post your question on the wall or send a private message, and subscribe to the blog to follow when we add stuff to the website, which is very regularly. Links on the right hand side of this page.